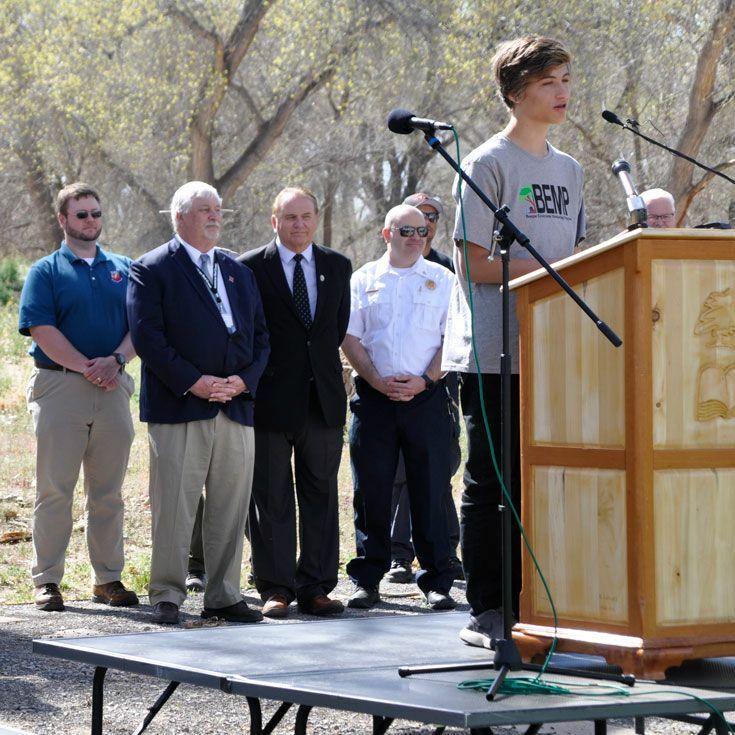 Anelé '22 and Aldo '22 shared the stage Wednesday with Mayor Tim Keller; Energy, Minerals & Natural Resources Department Cabinet Secretary Sarah Cottrell Propst; and many interagency dignitaries in Bosque School's Sanchez Park for the NM Interagency Wildfire Awareness News Conference. 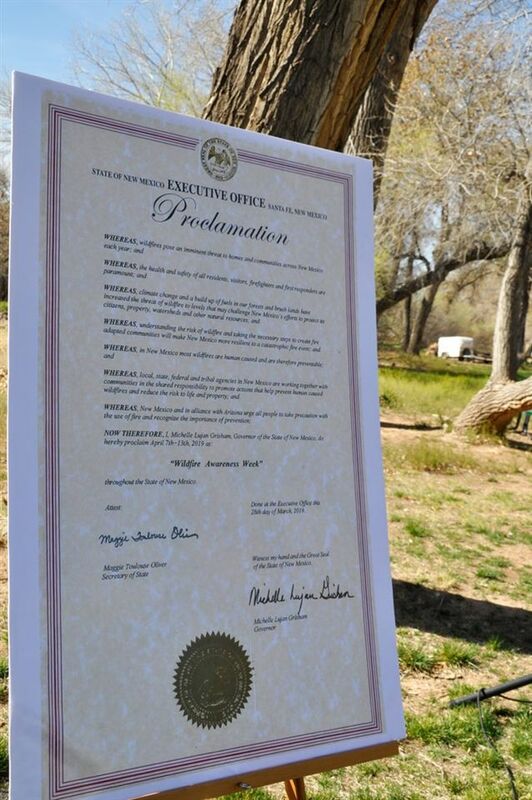 Aldo stepped in for Governor Michelle Lujan Grisham, who was unable to attend, by reading a proclamation recognizing April 7–13 as "Wildfire Awareness Week." 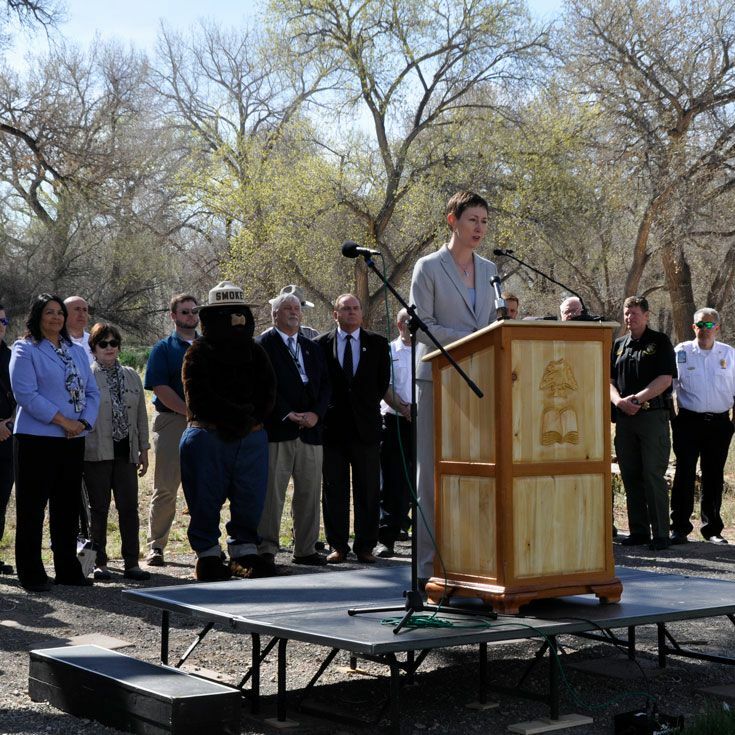 The proclamation noted the threat that wildfires pose to homes and communities in NM; the fact that most are human caused and therefore preventable; and the shared responsibility between local, state, federal, and tribal agencies to promote actions that help prevent human-caused wildfires. 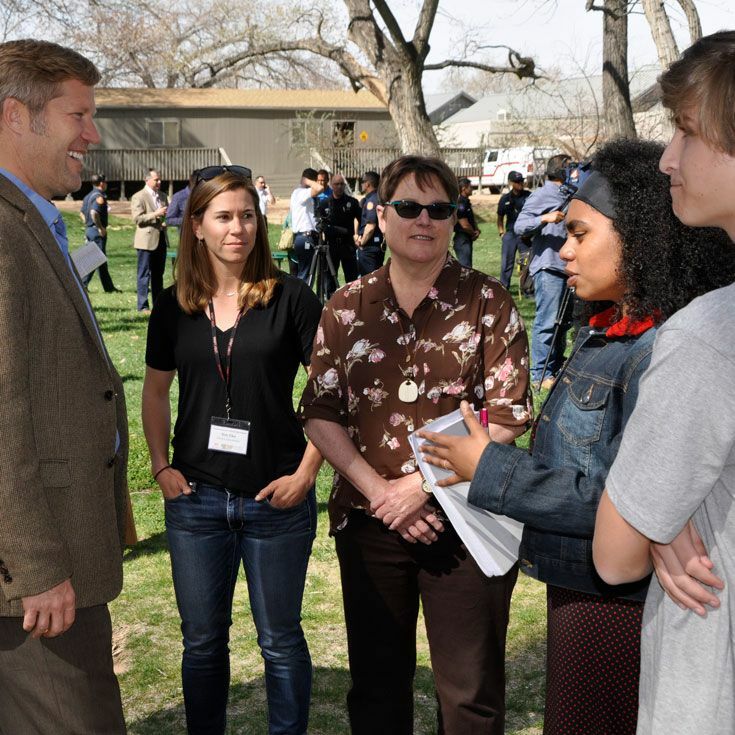 Anelé spoke briefly about climate change, the work of the Bosque Ecosystem Monitoring Program (BEMP), and the importance of getting more people involved in protecting the environment. 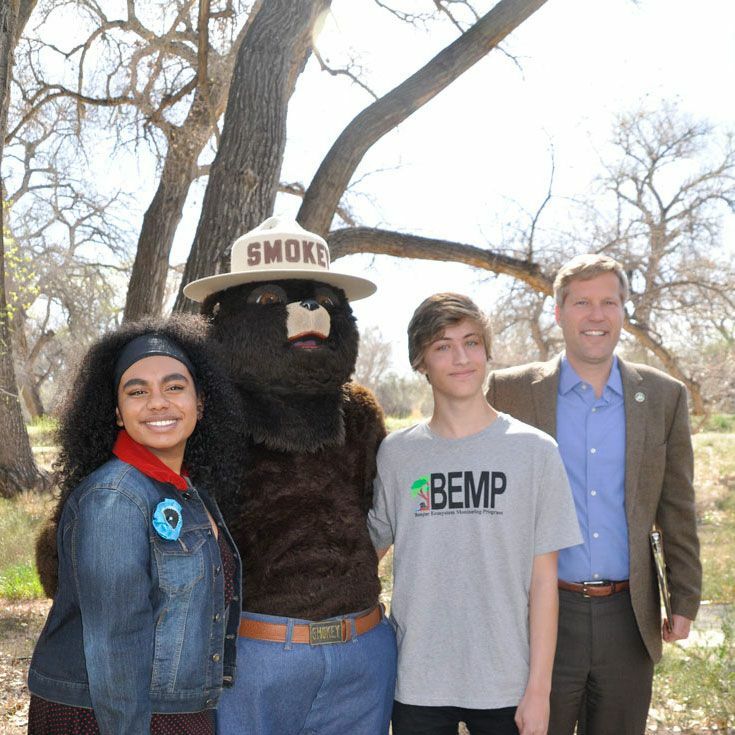 Wildfire prevention advocate, Smokey Bear, who celebrates his 75th anniversary this year, was also on hand to support the conference and pose for pictures with news conference attendees. 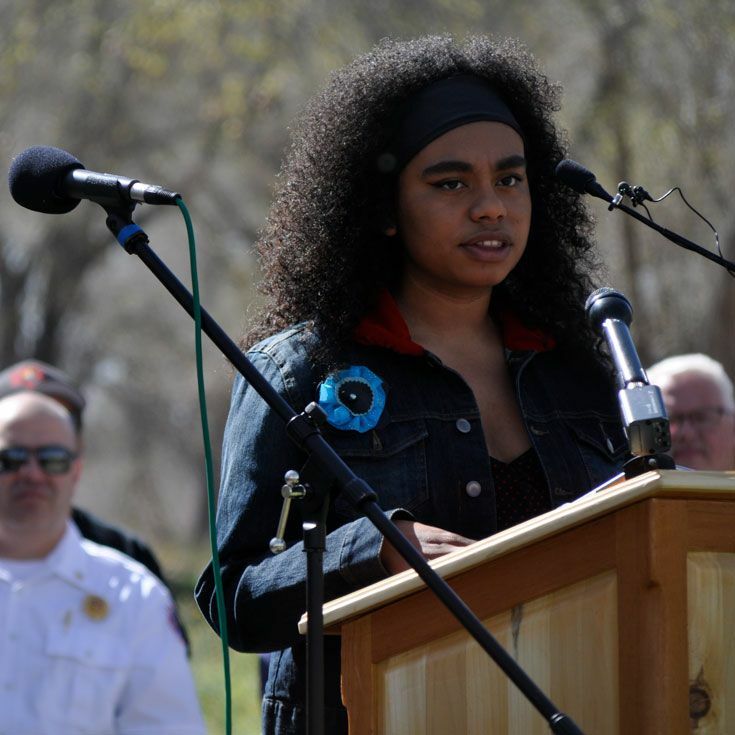 Check out videos of Bosque students, Anelé ’22 and Aldo ’22, and Mayor Keller on stage! 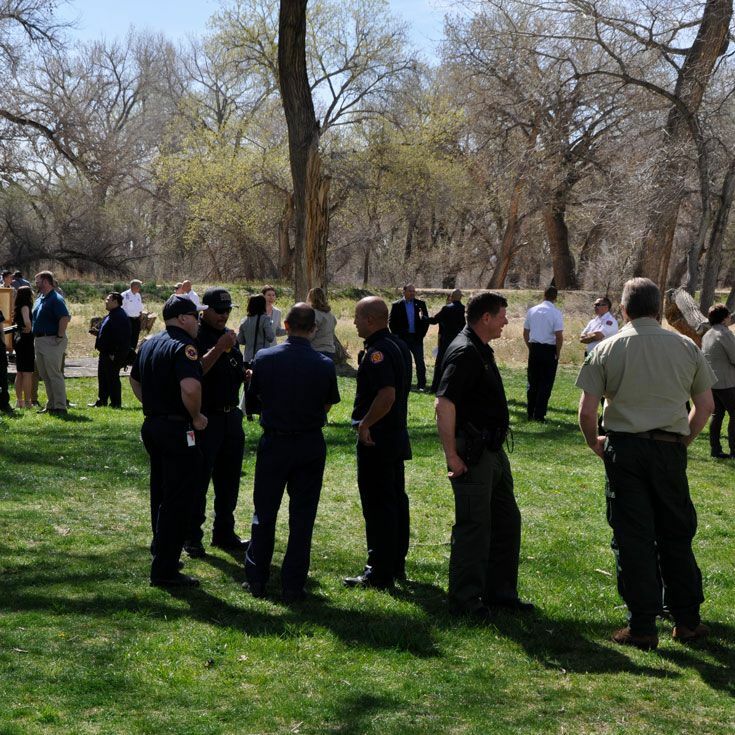 Also, see news coverage on the event from KOB.